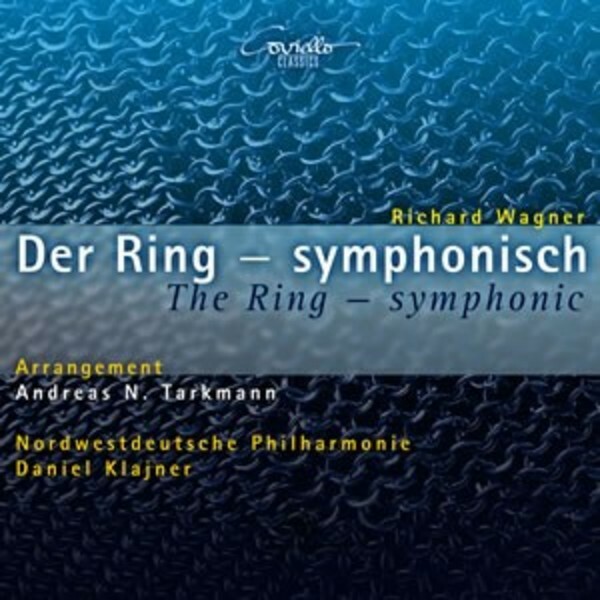 There have frequently been attempts to get Wagner's Ring into a symphonic format. However, this new version by Andreas Tarkmann does not only want to align the highlights, but to compress the opus to its very own orchestral drama � divided into four well-defined parts the quintessence of the Ring operas is clear, and Tarkmann's talent for concise escalation makes this version a special pleasure. Despite minor compositional procedures, this symphonic 'short-Ring' at any time remains 100% recognizable as Wagner.